I was doing some clean Oracle Linux 6 and 7 installs today and look what I noticed in the yum repository for OL6. Which version of Oracle Linux should I pick for Oracle server product installations? One of the points I raised was the use of UEK allows you to have all the latest kernel goodies, regardless of being on an older release, like OL6. 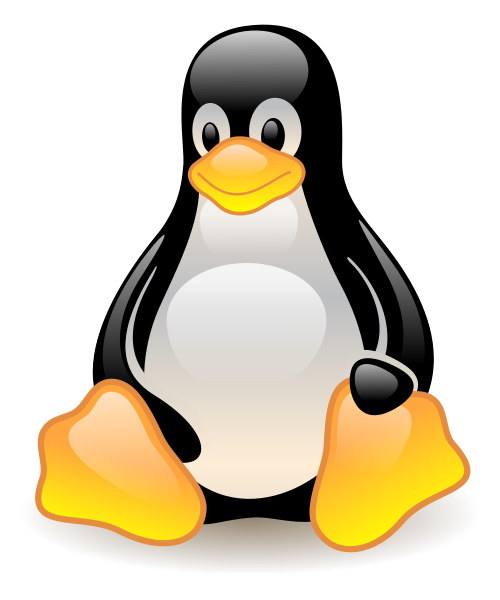 I saw a post today about the release of UEK4, so now you have access to all the improvements in the 4.1 mainline Linux kernel, whether you are on are running OL6 or OL7. That just goes to prove the point really. Following on from the last post, I’ve brought my NFS RAC stuff up to date also. Following from yesterday’s post about Cloud Control 12cR3, Oracle Linux and VMware, I thought I would just mention something I put live yesterday evening. We have a 3rd party Java-based application that runs on Tomcat 7 and Java 7 that until recently was running on RHEL5 on physical hardware. It runs against an Oracle database, but that is not housed on this server. This application is not that big, but it is *very* high profile as it is what we use to process our REF submissions. If you know anything about higher education in the UK, you’ll know that REF is a very big deal, especially as we are within a couple of months of the next submission. As I mentioned in February, like many of our systems, the resource utilization on the physical hardware was not optimal. We had this single Java app running on a server with 64G RAM and 12 cores, when it was probably using at most 6G and 2 cores. What’s more, there were two physical servers of this specification to provide manual failover, as the vendor does not support any form of clustering for automated failover. We can allocate just the resources we need. The existing physical boxes will be plugged into the VMware cluster and their resources used for something more useful than sitting around doing nothing. We can now use VMware’s HA functionality to provide automatic failover, giving us enough high availability for our needs. Using Oracle Linux gives us a variety of support options, starting from $0 upward. If you are considering moving stuff to VMware and/or Oracle Linux, you might like to read these posts. Last year I wrote an article about the installation of Oracle Forms and Reports Services 11gR2 on Oracle Linux 5. I’ve now written the article for Oracle Forms and Reports Services 11gR2 on Oracle Linux 6. The latest patch of F&RS is certified for OL6, along with JDK6 and JDK7. In addition to the installation articles, I’ve compiled a collection of random notes about post-installation configuration into a separate article. I keep adding to it every time I come across a new (for me) issue. I spent yesterday neatening up a few old articles. For the most part it is a bit of a dull process, but it has to be done every so often. With what’s going on at work, it seemed like a good idea bring my old Kickstart and PXE Installation articles up to date. My kickstart article was written in the RHEL3 era which needed bringing up to date. Nothing has really changed about the process, but some new screen shots from OL6 make it look a little fresher. My old PXE Installation article was written against RHEL5/OL5, so I figured things wouldn’t have changed much between that and RHEL6/OL6… Wrong! I ended up having to write a new article specifically for PXE Installations on RHEL6/OL6. I spent today updating my Oracle 11gR2 RAC installation on OL6 article. The original article used an older version of VirtualBox , which meant some of the screen shots looked a little dated. It’s now updated to VirtualBox 4.2.6, so it should be a little less confusing for anyone who is new to VirtualBox. Last month I wrote about a problem I saw with scsi_id and UDEV in OL5.8. As it screwed up all my UDEV rules is was a pretty important issue for me. It turned out this was due to a mainline security fix (CVE-2011-4127) affecting the latest kernels of both RHEL/OL5 and RHEL/OL6. The comments on the previous post show a couple of workarounds. Over the weekend I started to update a couple of articles that mentioned UDEV rules (here and here) and noticed the problem had dissapeared. I updated two VMs (OL5.8 and OL6.2) with the latest changes, including the UEK updates and ran the tests again and here’s what I got. So it looked like normal service had been resumed. 🙂 Unfortunately, the MOS Note 1438604.1 associated with this issue is still not public, so I couldn’t tell if this was a unilateral change in UEK, or part of a mainline fix for the previous change. To check I fired up a CentOS 6.2 VM with the latest kernel updates and switched an Oracle Linux VM to the latest RHEL compatible kernel and did the test on both. As you can see, they both still don’t report the scsi_id for partitions. It could be the associated fix has not worked through the mainline to RHEL and CentOS yet. I’ll do a bit of digging around to see what is going on here. Update: It appears the reversion of this functionality may not be permanent, so I’ve updated my articles to use a “safer” method of referencing the parent (disk) device, rather than the partition device. I can hardly believe it. It’s finally happened!!! From now on, the Oracle Linux errata are available free from http://public-yum.oracle.com. In the past only the updates (5.6, 5.7 etc.) were available. This makes OL even more useful than before. Update: Remember, if you apply the errata to OL6.2, you will have the same scsi_id issue I saw with 5.8. If I run it against the disk, rather than the partition it works fine. At this point I’m not discounting that I’ve screwed up somewhere. My next plan is to install three clean VMs (OL 5.6, 5.7 and 5.8) and check the output of scsi_id on each of them. If that turns out OK, then I’ve screwed something else and you can probably ignore this post. I might not get to try it out until tomorrow. Either way, I’ll update this post with the results of that test. Update 1: It’s definitely changed. See the following. Update 3: John Sobecki pointed me at “[block] fail SCSI passthrough ioctls on partition devices CVE-2011-4127”, a mainline kernel security fix that seems to be the cause of this. It affects all new kernels which include this change (RHEL5/6, UEK etc). Oracle are testing the impact of this. Initially ASMLib and OCFS seem unaffected. Update 4: MOS Note 1438604.1 (currently in review) contains more information about this issue. ASMLib and OCFS are unaffected by CVE-2011-4127, so ASMLib should probably be used in preference to UDEV with newer kernels. Update 5: I’ve altered all the articles on my site to reference the parent (disk) device, rather than the partition device, which makes the UDEV rules work fine again. Thanks to Bryan Wood and Joachim for their suggestions.